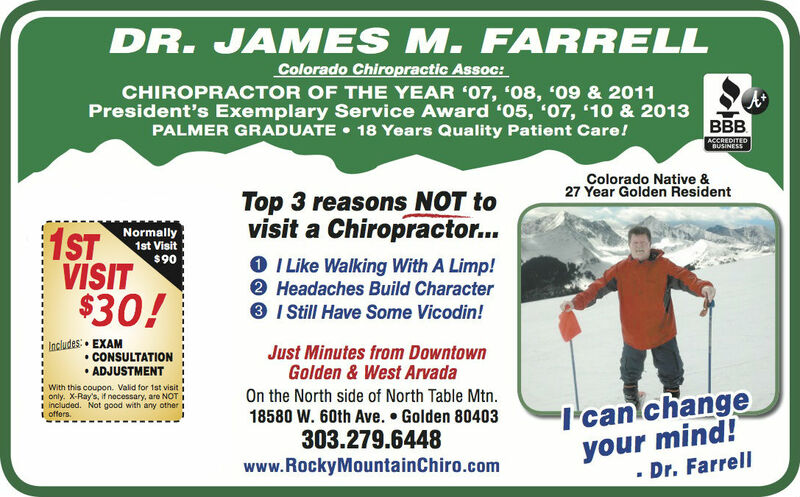 Thank you for visiting the website of Arvada and Golden Chiropractor Dr. James Farrell and Rocky Mountain Chiropractic – a professional Golden chiropractic clinic. 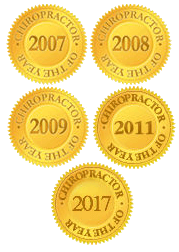 In practice as well as online, Golden Colorado 80403 chiropractor Dr. Farrell strives for excellence through superior patient treatment, education and satisfaction. Located just North of Golden, and West of Arvada, Dr. Farrell is dedicated to helping you achieve your wellness objectives — combining skill and expertise that spans the entire chiropractic wellness spectrum. Doctor Farrell is committed to bringing you better health and a better way of life by teaching and practicing the true principles of chiropractic wellness care. Patients seeking treatment at Rocky Mountain Chiropractic with Dr. Farrell are assured of receiving only the finest quality care through the use of modern chiropractic equipment and technology. Dr. Farrell has a genuine concern for your well-being! Within our website, Golden, Arvada and surrounding area residents will find all types of health and wellness related information including information about our office and services, chiropractic, back and neck pain, work and auto injuries and much, much more. We hope you enjoy the information within and share it with others. Again, thank you for visiting rockymountainchiro.com and remember to come back often.